This past Wednesday, May 17, 2017, Google quietly released a new Beta for Purchases on Google. The beta is open access to the request form to Google’s buy button program which can be found in the Merchant Center Programs in your Merchant Center account. Although it was anticipated as a button, the feature to buy within the Google search is a message. Yes, that is a surprise to us and to many as prior to this day Google had discussed it as a button like feature. 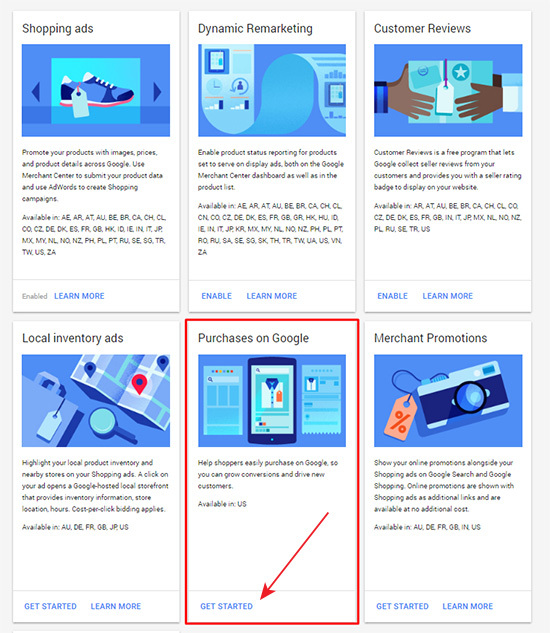 “Buy On Google” will appear on all eligible products and ads online and on mobile in beta mode. Shoppers can now click on the ads and be brought to a purchasing page created, and hosted, by Google. On this page they can make a payment using the information they have stored with Google Pay, making a quick purchase without the hassle of having to get all your credit card information out. Then the orders are processed, fulfilled, shipped, and followed up by your store, the retailer. There are many pros to having this new feature on mobile phones. When users are browsing for products on their cell phones they want an easy and quick solution. They don’t always have the time, or the screen space, to look and compare different products so if you have a high rated product, well priced, with a quick purchase option it is very likely a customer will purchase your product immediately. Google has created this feature because, as they say, they want to reduce friction when making mobile purchases. Currently, Google feels, that there is friction between merchants and consumers when they try to make purchases through their phones. This is why Google has created the purchase page, that they host. It will carry out the merchant’s branding, so it will look like it is coming from your brand. If you would like to participate in the beta version you you must log into Merchant Center and go the the Merchant Center Programs. From there you will see the box for “Purchase on Google” along with a get started button, which will take you to this form. All you must do is fill out the form and submit it to Google. From a quick look at the form it seems there are a few things that are important to have, but are not must haves, and a few spots for must have information. Merchant Center account id(s) : Your company will need an existing Merchant Center account to participate. If you have multiple Merchant Center accounts, please complete a form for the multi-client account or the individual accounts. AdWords account id(s):Primary AdWords customer ID for PLAs. If you are missing any of the important to have and necessary information, you can not currently apply for the program. However, this makes sense as you can not apply for a program through the Google Merchant Center without having an account and you can not have a buy button on your Google AdWords if you do not run ads on Google. The information that is important but not necessary however is interesting as it seems if you work with or know someone at Google you may have a better shot at getting accepted into the program. Google hasn’t said anything about the program yet however, the did pilot almost two years ago teasing merchants for quite some time. During the testing phase it seemed that the program had many hurdles to overcome as it was difficult for developers to integrate multiple systems and for marketers to figure out how customers would engage in the new program. However those concerns may no longer be an issues since they are in beta mode. Even though Google has stayed silent on the program so far, you can still request access to the Purchases on Google beta through the Merchant Center Program in the Google Merchant Center. If you have additional questions feel free to reach out to Google’s Merchant Center customer support services and ask them about the beta program. When advertising on Google, it always good to understand all the available options that best fit your business goals, and how to take advantage of these programs. 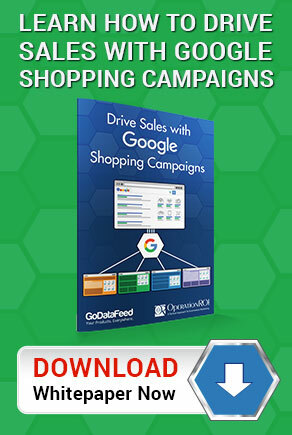 If you don’t have a strategy for Google Shopping, perhaps it’s time to get some help from the pros. The team at OperationROI can help, as they have been working with Google Product Listing Ads for years and have different strategies to help you hit your target goals. Contact us today at 1-888-277-5429 or by filling out our contact form to learn more. Ready For The Google Buy Button? Contact Us Today!